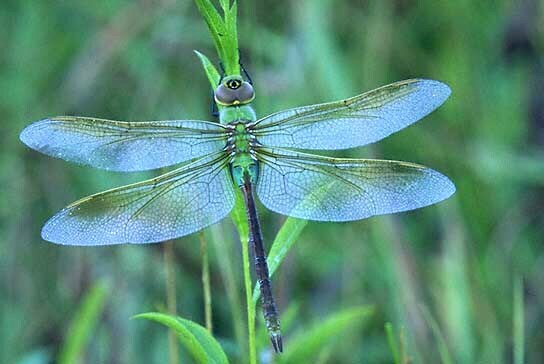 In muted shades of earthy gold & green, this 14+ inch pen comes bearing the totem of Dragonfly. 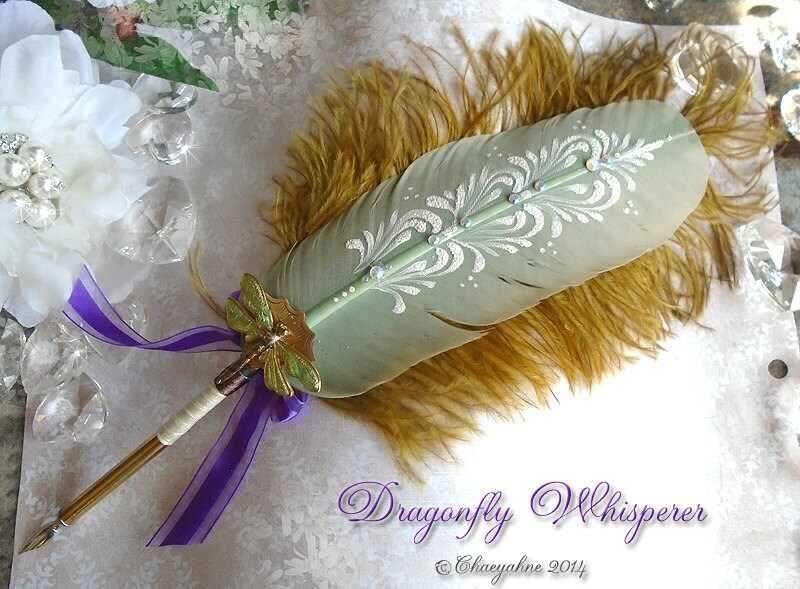 Equipped with a custom golden ferrule which will allow for the inter-change of nibs when writing or illustrating, ribbon wrapped writing shaft, and a brass & enameled Dragonfly focal. 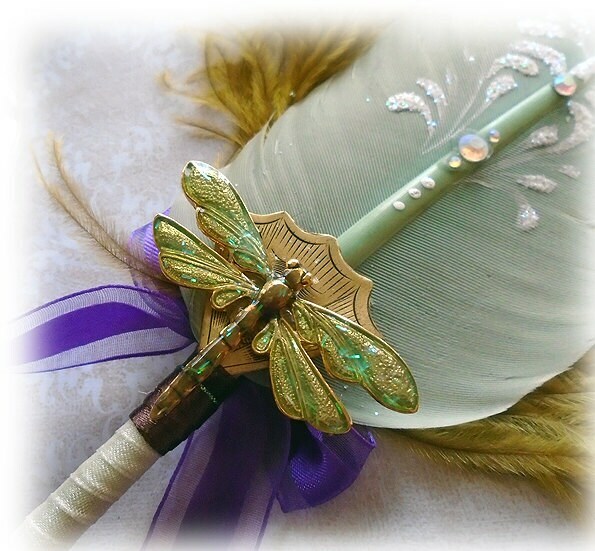 The quill has been painted in faerie dusted white, and no two of these pens will ever be the same due to this technique, accented with a wispy golden ostrich plume. This is an exclusive CSD design, and is of course one-of-a-kind.